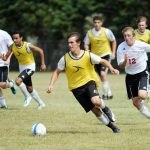 After a two-year recruiting process, a three-sport varsity athlete signs a national letter of intent. The Vineyard Tennis Center, Workout and Spa hosted the 16th annual Turkey Open Tennis Tournament last weekend. The Vineyarders play the Whalers at 1 pm, Saturday. 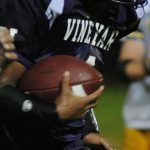 Bishop Stang exacted a modicum of revenge for Friday's varsity football defeat in North Dartmouth by defeating the Vineyard jayvees 25-15 on a sun-splashed Monday afternoon at Dan McCarthy Field. 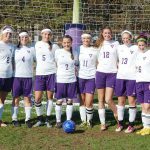 The Vineyard girls varsity soccer team capped off senior day with its first home victory of the season, a 5-0 whitewashing of Cape Tech, Friday, at Dan McCarthy Field. 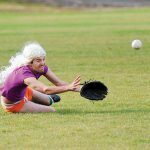 Each year following the Labor Day holiday, many of the Island's service industry professionals gather together on Tuesday afternoons to play softball at Veterans Park in Vineyard Haven. 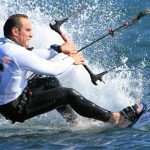 Wind gusts of more than 30 mph Saturday provided superb conditions for competitors in the North American Speedsailing Invitational. 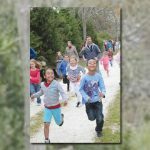 The Edgartown School held its annual Pumpkin Run, Wednesday. Oak Bluffs Police said that cash taken from various individuals that totaled approximately $180 and a pair of sneakers was taken from the locker room. Andy Berry, Assistant Principal of the high school, won the coveted Frank Jewett trophy awarded to the Holmes Hole sailor who wins the most points in the Holmes Hole Sailing Association's season-long racing series. 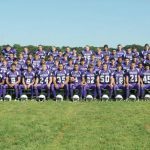 The Vineyard cross-country teams honored their seniors and hosted Eastern Athletic Conference rival Somerset Berkley, Wednesday, in the final home meet of the season. The West Bridgewater Wildcats paid a visit Tuesday and topped the Vineyard varsity field hockey squad, 3-1, in an Eastern Athletic Conference matchup. 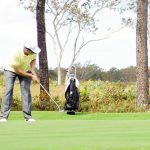 Stuart Minton, part of the Donaroma's Nursery foursome, won $10,000 by successfully holing a 40-foot putt in the 12th annual Martha's Vineyard Savings Bank Golf Classic, Monday, at the Vineyard Golf Club. 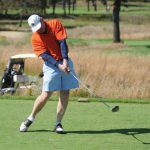 The Vineyard Golf Club in Edgartown hosted the Martha's Vineyard Arena benefit golf tournament on Monday this week. 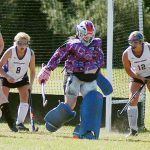 The Martha's Vineyard Regional High School field hockey team opened its home schedule, Tuesday, against arch-rival and perennial Eastern Athletic Conference power Bishop Stang of North Dartmouth. 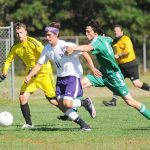 The Martha's Vineyard Regional High School boys varsity soccer team evened its record at 1-1, following a 5-0 shutout over Dennis-Yarmouth, Friday afternoon at Dan McCarthy Field in Oak Bluffs. 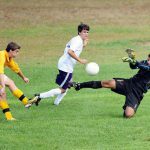 Several Vineyard teams hosted scrimmages last week in preparation for the upcoming fall high school sports season.